Researchers at the Center for BrainHealth at The University of Texas at Dallas, in collaboration with co-leading authors at George Washington University and Yale, have demonstrated in a pilot study that a clinician-driven virtual learning platform, tailored to young adults on the autism spectrum, shows improved social competency. Findings published in Autism Research reveal that increases in socio-emotional and socio-cognitive abilities correlate with brain change. Results included increased activation in the brain's socio-cognition hub with gains linked to improvement on an empathy measure. 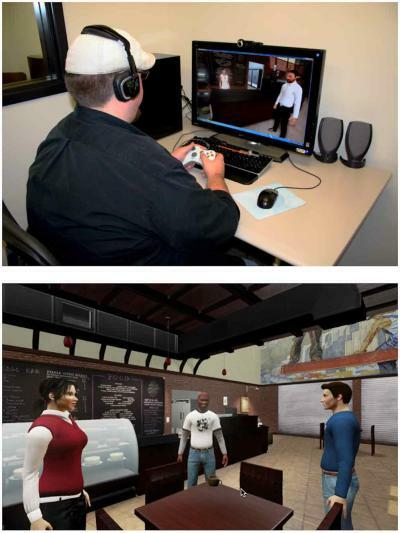 The social cognition virtual reality training, now available under the name CharismaTM through the Center for BrainHealth's Brain Performance Institute, demonstrated that study participants with autism shifted their attention from non-social information — a behavior commonly displayed in autism — to social information, a skill that is meaningful. 3) The part of the brain for visual attention showed significantly decreased activation to non-social versus social stimuli across all participants. The Center for BrainHealth, part of The University of Texas at Dallas, is a research institute committed to enhancing, protecting and restoring brain health across the lifespan. Scientific exploration at the Center for BrainHealth is leading edge, improving lives today and translating groundbreaking discoveries into practical clinical application. By delivering science-based innovations that enhance how people think, work and live, the Center and its Brain Performance Institute, are empowering people of all ages to unlock their brain potential. Major research areas include the use of functional and structural neuroimaging techniques to better understand the neurobiology supporting cognition and emotion in health and disease.